Rehabilitation after an injury or from any serious neurologic disease is enhanced considerably by the appropriate use of physical therapy techniques. For example, animals that have been paralyzed in their rear legs have to regain the strength that has been lost during their bout of paralysis and then retrain their joint position sense (called proprioception) before they can walk and balance normally. Animals that have had diseases that affect the brain also often have to learn how to balance or walk again. Physical therapy is especially important for animals that can not move themselves at all, such as to even change sides, as these animals are at great risk of complications like pneumonia. Our [intlink id=”61″ type=”page”]physical therapy service[/intlink] can help your pet to recover from its illness. In some cases we will recommend that you work with other centres in the lower mainland that offer hydrotherapy, such as the SPAW. 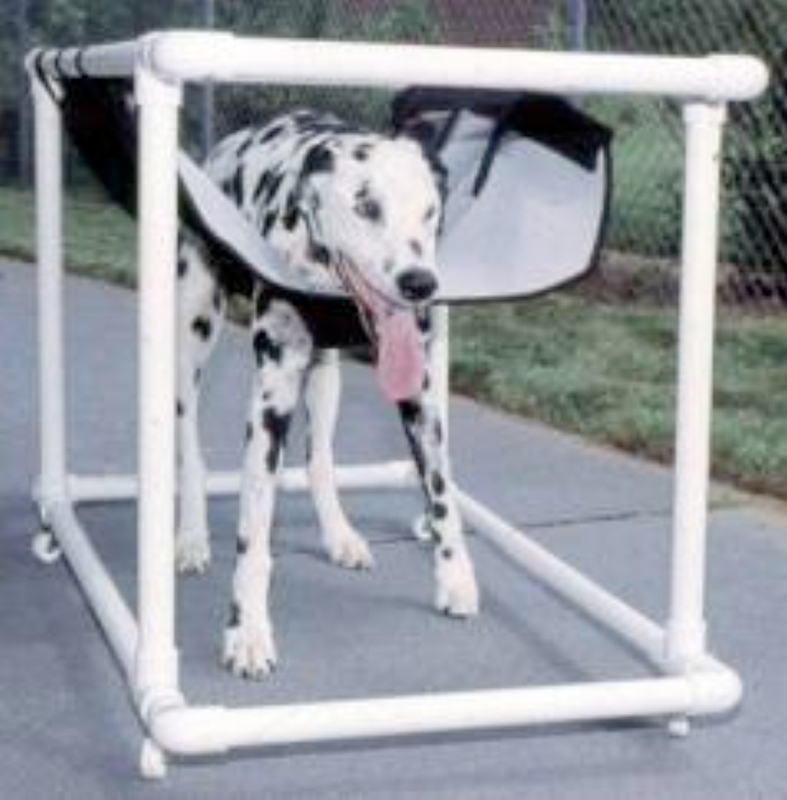 Figure 21: Dalmatian suffering from severe weakness in all four limbs caused by Wobbler syndrome. This Neoprene sling and cart made of PVC pipe supports his weight and allows him to recover the ability to walk without falling and injuring himself. Movie 21-1: This is a video of a Dachshund that suffered a disc extrusion and is still not yet walking normally. Putting the dog in a shallow bath of warm water is a good way to provide support and allow exercise without injury. However, no matter how shallow the water, the dog must be supervised AT ALL TIMES. Animal Physical Therapist Special Interest Group, Orthopaedic Section, APTA, Inc.
David Levine, Professor of Physical Therapy, College of Veterinary Medicine, University of Tennessee. Rehabilitation Service , Veterinary Referral Center of Colorado. Fibrocartilaginous embolism in 75 dogs: clinical findings and factors influencing the recovery rate. Gandini G. et. al. J Small Anim Pract. 2003 Feb;44(2):76-80. Canine Rehabilitation. REQUIRES LOGIN; FOR VETERINARIANS J Steiss. In Braund’s Clinical Neurology in Small Animals: Localization, Diagnosis and Treatment. C.H. Vite (ed).